Bill Owens Heating and Air - Welcome To Bill Owens Heating & Air Inc. Welcome To Bill Owens Heating & Air Inc.
We specialize in Residential & Commercial HVAC systems. "We offer solutions and solve comfort problems"
Our goal is to provide Same Day Service, in most cases before 7:00pm schedule permitting. *WE NEVER CHARGE OVERTIME for after-hour, evening, weekend or holiday service. Please call our service repair line at (423) 842-8081, press option 1 for service/repairs/maintenance, if no one answers please leave a detailed message and your call will be returned in a timely manner. Calls after normal business hours, will be returned by the on call repair technician within 30 minutes. For further menu options, press the * key to repeat the menu. For your convenience, options are: 3-sales, 4- accounting, 5- to speak with Brian Owens. 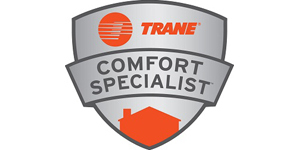 Do you have a specific issue with your HVAC system you would like to explain in detail? For your convenience, we offer an online "SERVICE REQUEST" option that you can fill out and once submitted, your request will be forwarded to our office manager and on-call technician within 30-60 minutes. If your request is received after 7:00PM, the message will be delivered the following morning. Not an emergency, we also offer our next day Message Service at (423) 842-0250 press 2 to leave a request for a next business day appointment. Phone calls placed here will be returned when the office re-opens during normal business hours. For System Maintenance Pricing please call the office or technician on-call. SERVICE, SALES, MAINTENANCE AND REPAIR ON ALL BRANDS OF COMMERCIAL HVAC SYSTEMS. Financing Available with approved credit on residential & commercial systems. We provide warranty repair service on most brands too. 3 ways you can get a free estimate on a new installation or replacement? Click "Get Estimate" at the top of this website (fastest) and select type. Your request will be sent to the on-call Sales Person immediately. Financing needed? Check out our Financing page. If you are or have high utility bills or your unit is not performing correctly, ask for details about our Maintenance Contracts. We provide a most comprehensive Maintenance program and we do more than the competition! The EPA phase-out of R22 will result in only a supply of 18 million pounds of virgin R22 for 2016. Which equates to a 65% reduction since 2014. The $ price for surplus R-22 is changing daily!